As the nation’s economy has been recovering these past couple of years to some levels we haven’t experienced in some time, more people have decided there was not going to be a better time than now to start their new venture. As the economy has been recovering, more people have decided there was not going to be a better time than now to start their new venture! Over this past year, the rate at which new entrepreneurs have been created is at a level we have not seen in almost 20 years. In fact, in the Las Vegas/Clark County, NV area alone, there were over three thousand new companies formed in the last year. With every new company formed, we hope they will be very successful, but the sad fact is that a little over fifteen percent of these companies will close within the first year, and almost thirty-five percent of these new companies won’t be around by the third year. In researching why the high rate of failure, the most common reason given is not enough prep work was done, not having a vital business plan to start with, and, in some cases, not being aware that a disaster could happen that would cause the company severe harm by not having a plan in place before it happened. Regardless of the type of company yours is from consultant, contractor, web designer, app designer, retail store owner, wholesaler, manufacturer, distributor, or one of the many different fields of endeavors there are, if your business plan is not rock solid from the start, your chances of success will be very low. We understand that when starting out, company owners need to very careful with each dollar spent, but we encourage them that having the proper insurance coverage is not only a must, it just makes good business sense. When sitting down with new company owners, most times they understand that having General Liability Insurance Coverage is necessary, but when we also discuss additional Las Vegas business insurance coverages that would be beneficial to their particular company’s needs, many times these new owners have a difficult time seeing the value. When starting out, most company owners wear many hats from HR director to accounting, and, generally, it’s not in the budget to have an internal risk manager, and this is where having a professional and experienced insurance broker can be a plus in helping to protect their company. There are quite a few potential risks a new company can face which are not covered by their General Liability Policy such as Cyber Liability Coverage, Professional Liability Coverage, Property Coverage, Directors & Officers Liability Coverage, Employment Practices Liability Coverage, Fiduciary Liability Coverage, Environmental Liability Coverage, Crime/Fidelity Coverage, and Workers’ Compensation Coverage, to name just a few. If you are a consultant of any kind, having Professional Liability Insurance is an absolute must for your company. When discussing Professional Liability Coverage with potential clients, one thing you hear from them concerning their potential professional liability exposures is that they are convinced that a claim could never happen to them. We all know how well that works out. Having this type of coverage can mean the difference between staying in business and losing it all should a claim be filed against the company. Another important insurance, especially if your company has employees, is Employment Practices Liability Insurance, commonly known as EPLI. In most instances, this is a very affordable insurance coverage, but one many clients pass on. We urge our clients to take a close look at this particular type of coverage considering the fact that employees filing lawsuits against their employers are on the rise, and just defending one of these actions can be quite costly. Also, if your company were to be assessed a judgment, the average claim paid is approaching six figures. Acquiring this type of policy just makes good financial sense. If your company is going to do any business on the web which will require keeping any type of records, credit or debit cards, social security numbers, medical records, etc., having a Las Vegas Cyber Liability Policy Insurance Policy is an absolute must considering the rate of hacking and cyber crime that has been going on these days. 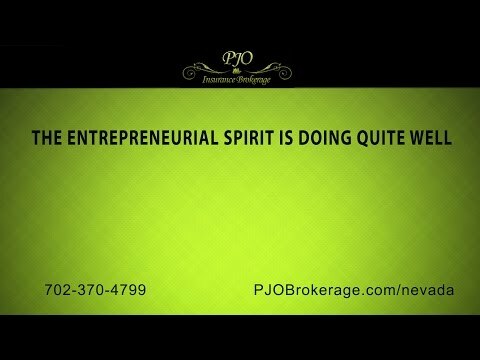 Here, at PJO Insurance Brokerage in Nevada, we fully understand that no two companies are going to be the same, and that’s why we insist on learning as much as possible about your company so we can help you create the proper insurance plan to protect your company, so you can concentrate all your energies into making your company the success you envisioned when you started this process.